Hey, y'all! I'm so excited today because I have a review of a lovely necklace I was sent from Alison Storry Jewelry and a giveaway for y'all. That's right. 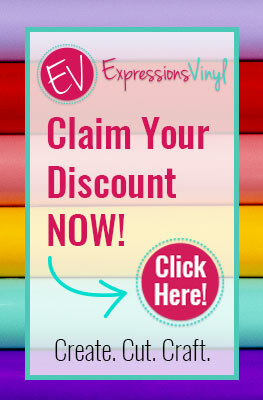 You have a chance to win a $75 shop credit to Alison Storry Jewelry!!! 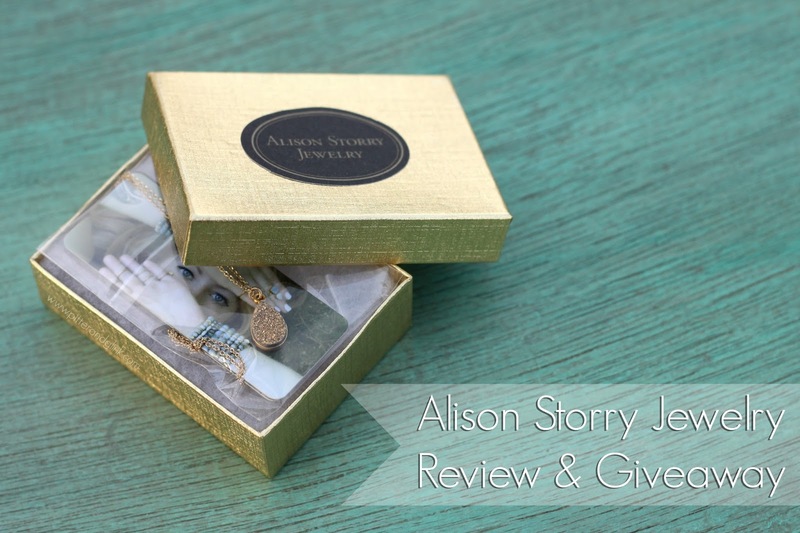 During the summer, I became familiar with Alison Storry Jewelry when I was asked to do a review and giveaway, and I quickly fell in love with all of Alison's pieces. Last month, Alison hit a major milestone by launching her very own website: AlisonStoryJewelry.com! 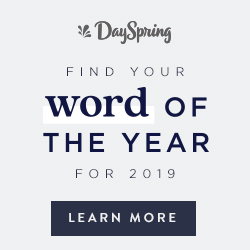 In honor of her website's launch, she wanted to celebrate with y'all with an awesome giveaway. This week she sent me her beautiful Gold Druzy Pendant Necklace to review in conjunction with the giveaway. The necklace came in a gold box with a pretty bow. Doesn't pretty packaging make a gift that much more exciting? I was so pleased with the necklace inside! Like many people these days, I'm obsessed with gold, and I just ADORE the sparkle that radiates from this pretty druzy necklace. It's going to look fabulous with the Bezel Set Crystal Necklace that I already own. With many of Alison's necklaces, you can choose the chain length. You can order necklaces at different sizes to layer them. Alison sells bracelets and earrings too, and I'm so excited that she's going to be adding rings to her collection in the spring! Here are a few other pieces of hers that I think are so pretty. 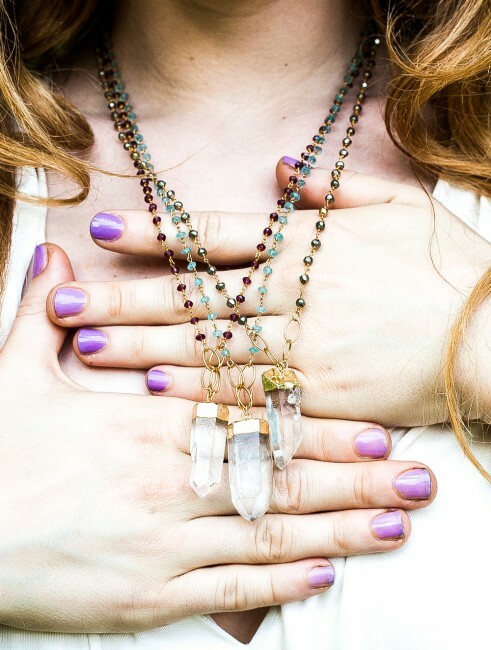 And I think my newest favorite from her shop is the Raw Crystal Quartz Pendant Necklace. It's definitely what I would buy if I won the giveaway, but, of course, I can't win the giveaway. YOU have a chance though. 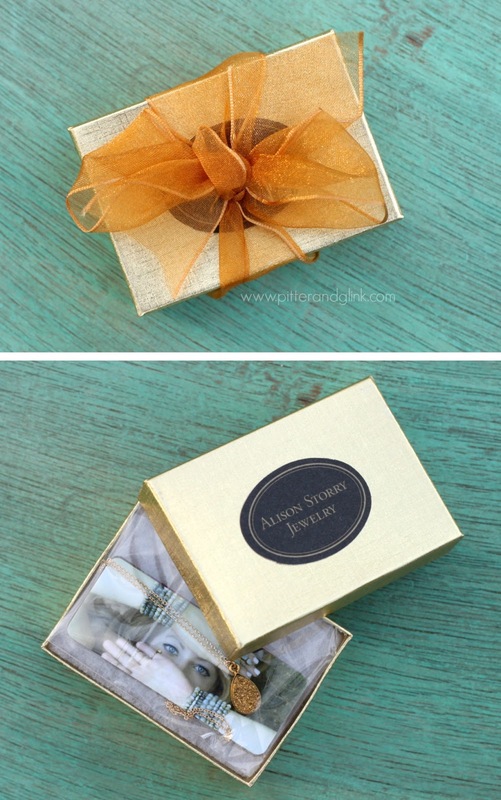 The giveaway, as mentioned before, is for a $75 shop credit to Alison Storry Jewelry. The giveaway is open worldwide from 12am December 22nd until 12am January 5th. For more details on the rules, check out the bottom of the Rafflecopter widget. Good luck!!! Wow the hamsa hand and gold bracelet is gorgeous! Thanks for the chance! I love the Druzy Circle Pendant Necklace! I really like their lovely Tanzanite Stack Necklace. Oh my gosh, the turquoise bezel pendant is GORGEOUS! I love how she uses the stone in her work - so lovely! Hi! My favourite item is the Gold Arrowhead Necklace. I absolutely love the Druzy Agate slice necklace! It's so beautiful! I h ave seen her work again and i loove it!! I adore http://alisonstorryjewelry.com/shop/labradorite-drop-necklace! Beautiful jewelry and fantastic photography. Really shows off how gorgeous it is! Beautiful pieces, but I love the gemstone cluster necklace. Round titanium Druzy earrings! They are stunning! I love the druzy circle necklaces. They are gorgeous. 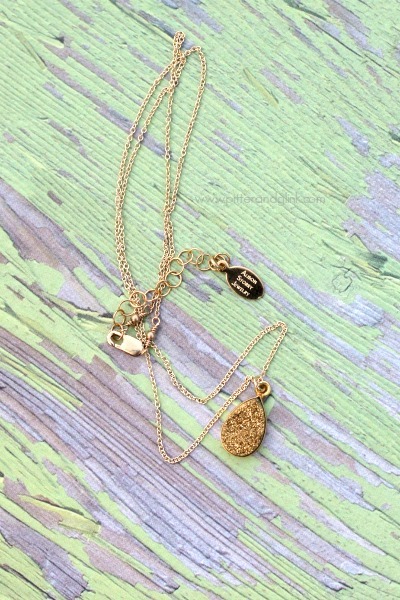 Love, Love, LOVE the brushed gold drop necklace! I think it would go perfect with this new outfit my husband got me for Christmas! I love the Druzy pendant and Pyrite Necklace! 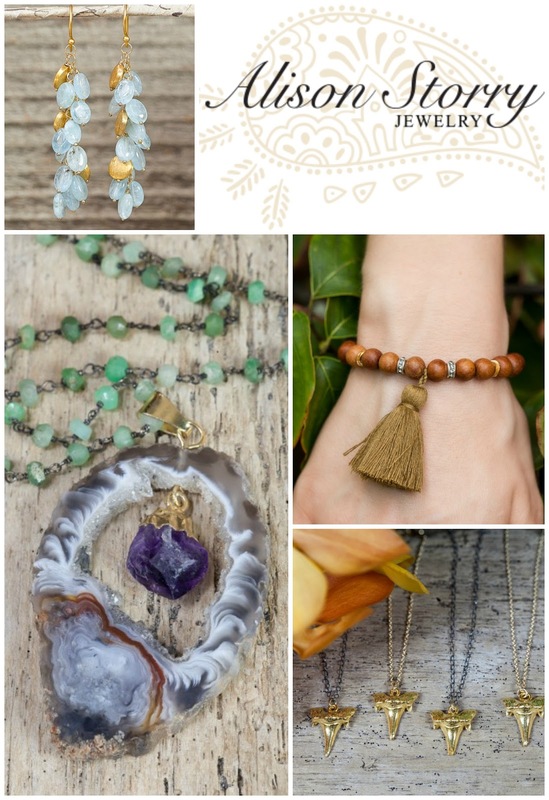 my favorite piece is the gold arrowhead necklace! email used for subscription is: yobonks@gmail.com - there wasn't a place on the form for it. So difficult to choose! They're all lovely, but I especially love the Turquoise & Ruby Necklace. One of my favorite pieces (there were many) is the Blue Daisy Marquis Earrings. I enjoyed window shopping all of the pieces. Wow, so many gorgeous pieces! I love the Hematite Stack Necklace. SO pretty!!! In form I'm Vercelli Alessandra. I LOVE the Blue Druzy & Iolite Necklace!! I like the Gold Arrow Necklace. So dainty and unlike anything else I own. I would love to have the Gemstone Cluster Necklace. I would keep for myself. I like the Druzy Circle Pendant Necklace. i love the raw crystal quartz pendant necklace. the first time I saw it, It made me lead into this site.. Energy of it that gives me it's postive.. very attractive..
Hello! Gorgeous shop! One of my favorite pieces is their Aqua Marine & Gold Coin Earrings. So pretty. Thank-you for this generous chance! I like the Round Druzy Pendant Necklace. I love Blue Druzy Marquis Earrings! I'm totally in love with the Chrysoprase Coin Bracelet! My favorite piece is the Abalone Pendant Necklace, for my girl. I really like the Labradorite Slice and Pyrite Necklace. 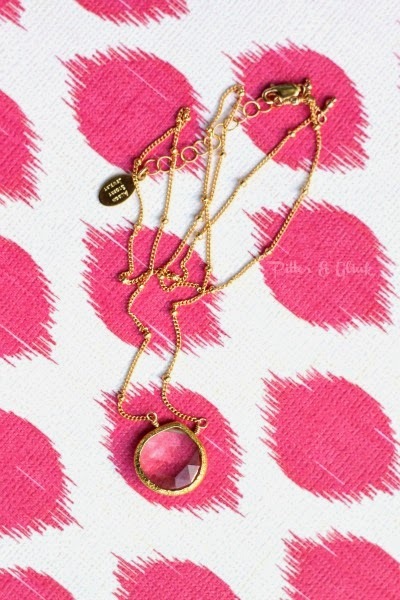 My favorite item from Alison Storry Jewelry is the "Druzy Circle Pendant Necklace". Thanks for sponsoring this lovely giveaway and for the opportunity to participate. I love Chalcedony and Moonstone Necklace. Thanks, Lubka K.